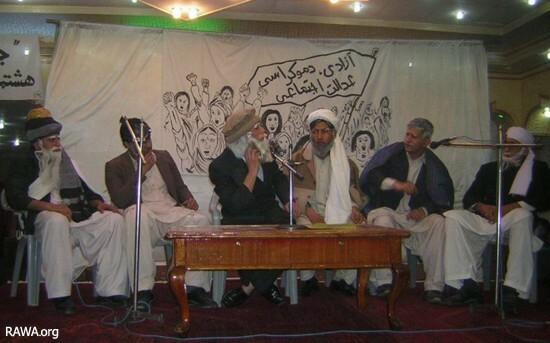 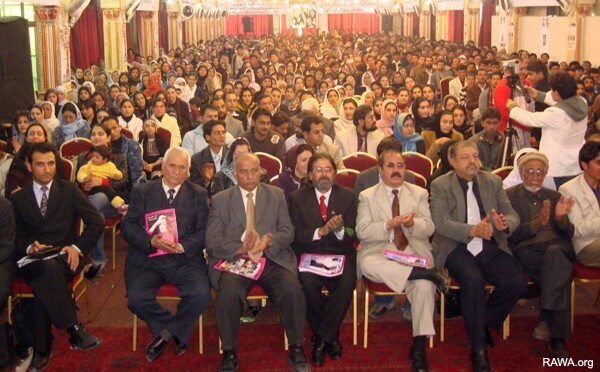 On March 8, 2008, the International Women's Day was marked through a large function in Almas-e-Sharq Hotel in Kabul. 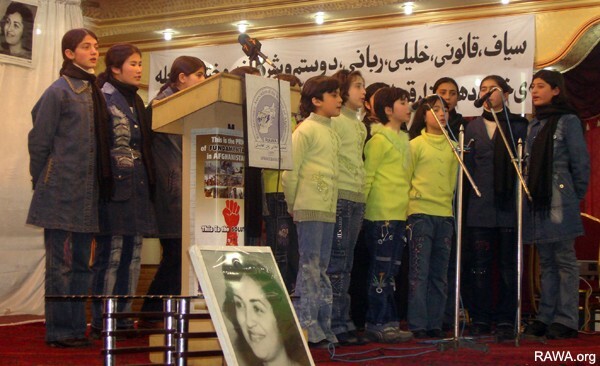 RAWA students present a patriotic song. 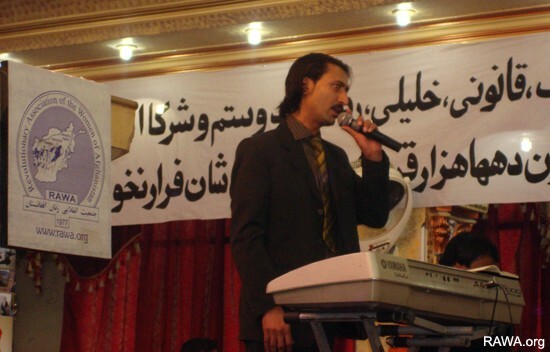 Well-known Afghan singer, Baryalai Wali presented some songs in the event. 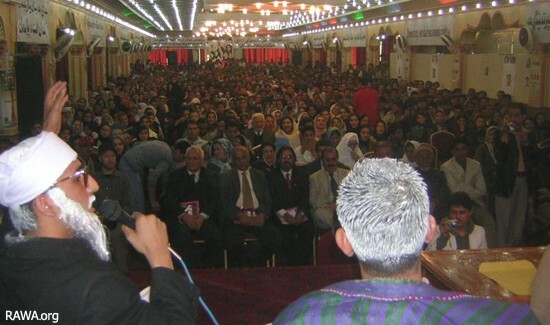 Over 1,500 women and men participated in the event. 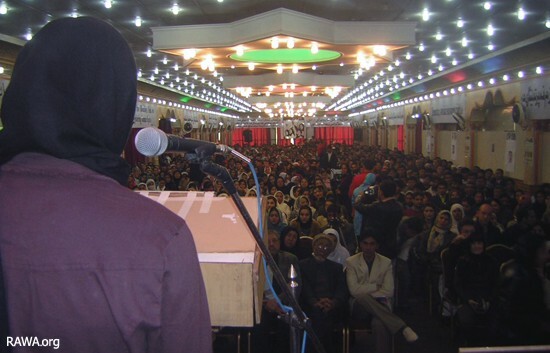 Every year, on the International Women’s Day, RAWA presents a certificate of honor to an Afghan citizen who has exhibited courage and sacrifice in the past three decades of conflict in Afghanistan.  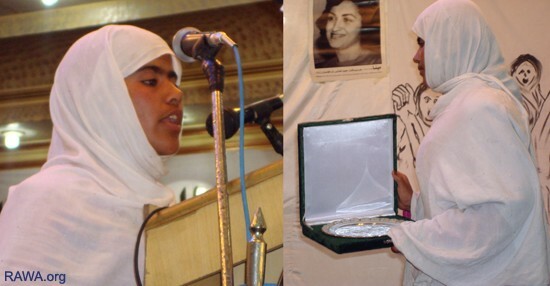 In 2008, the certificate was given to Saddiqa, a 17-year-old Afghan girl who has a sad and tragic story. 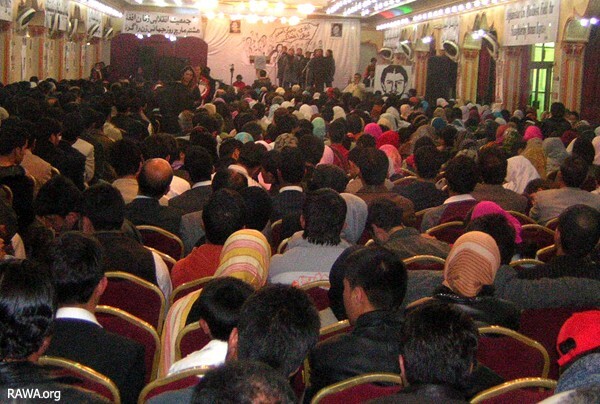 She lost 7 members of her family in the infighting of the fundamentalist bands in Kabul when she was only two. Later in a rocket fired on their house, she lost her leg and now with her father and brother, who are the only survivors of a large family, lives in poverty and struggles to make a living and also get an education.